The Tchimpounga Chimpanzee Rehabilitation Center, which rescues orphaned chimpanzees, has more than five times the number of chimps that it was built to handle. 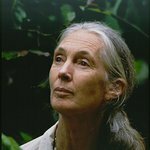 Conservationist Jane Goodall has a wish for her 80th birthday in April: enough donations to bring to an island sanctuary 45 more chimps that are ready for freedom. After nursing a near death, emaciated chimpanzee named Wounda back to health, Goodall shows the Center’s work in a short video where she joins Tchimpounga caregivers in returning Wounda back into the wild, a heartfelt moment for humans and chimpanzee.